Funnyman Aziz Ansari made our list of the 25 Most Stylish Asian-Americans earlier this year, and he's continued to look fresh. With appearances in the "Otis" video from Watch The Throne and a Complex cover under his belt, he's also been cracking us up on the regular as Tom Haverford on Parks & Recreation. Plus, we kind of want his life. 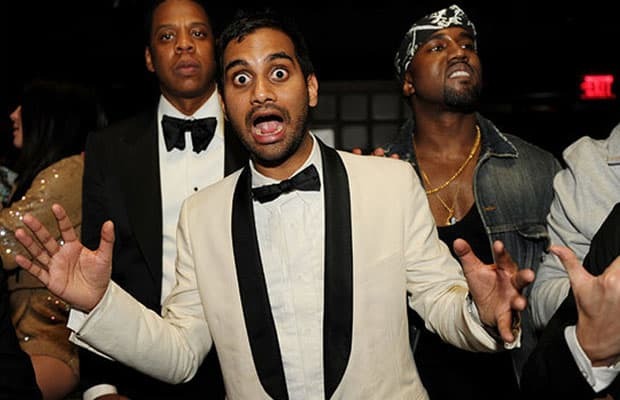 If Kanye West and Jay-Z are the throne, Ansari has established himself as the court jester — and the only rule in this kingdom is that you must look awesome.